The early network of hand-written news sheets expanded from Italy into the German speaking world in late 16th century, writes Paola Molino, of Ludwig-Maximilian University. Molino analysed the so-called Fuggerzeitungen, a vast collection of news sheets gathered by the Fugger brothers, who were famous bankers and creditors for Europe’s nobility. This corpus was compared to two other collections, those compiled by the Dukes of Urbino, and the Grand Dukes of Tuscany. According to Molino, Italian cities started out as the nodes of news dissemination: reports from abroad were sent there for translation, compilation and re-transmission. Nearing the end of 16th century the tide begun to turn. At the dawn of the 17th century more and more news sheets were originating in German speaking regions. Reports were also increasingly being edited and compiled in German areas, most notably in Cologne. 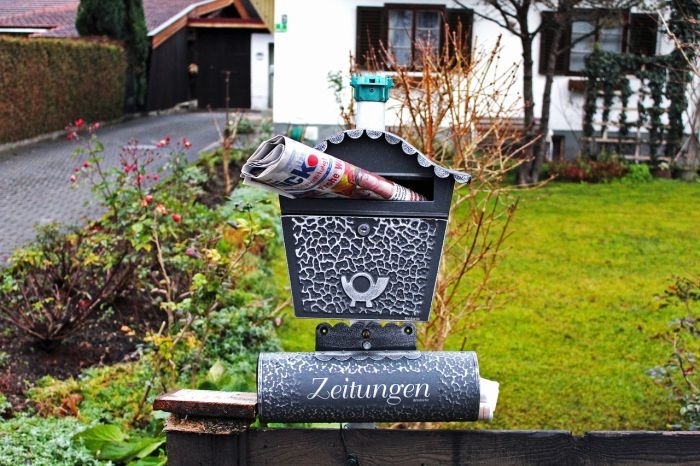 Simultaneously the circulation of Italian news sheets North of the Alps decreased: now their news were being translated from Italian into German for distribution – not the other way around. The style of the news sheets also changed as the network became more German, Molino noticed. German versions of the same news were more concise, and mentioned fewer people and places. For example, in January of 1601 the Italian sheets mentioned 131 people and 204 places, while German sheets from the same location and with the same date mention 83 people and 113 places. Molino’s research article, titled “Connected News”, was published by the journal Media History. It is available online (free abstract). Picture: Untitled by hannahalkadi, licence CC0 1.0.